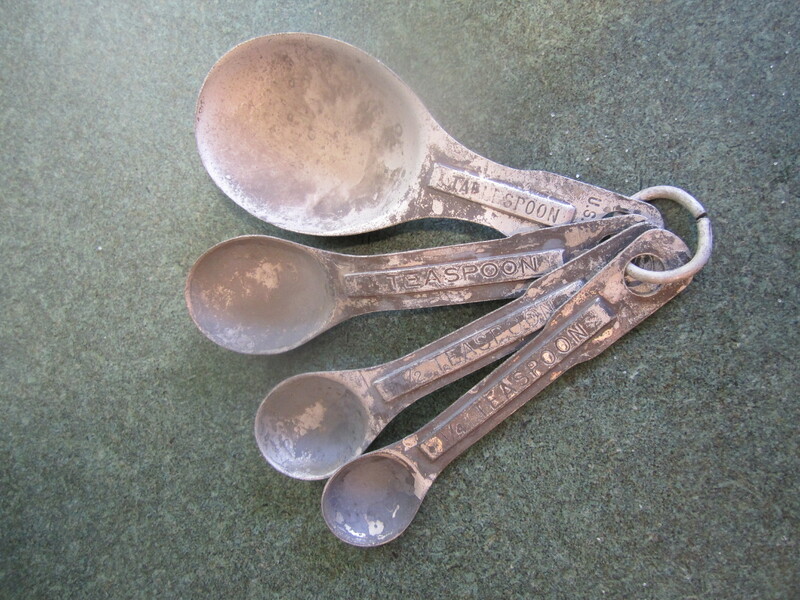 I’ve had these measuring spoons for a long, long time. I think my Mom gave them to me. I looked at them today. They are not fine. I should not be using them. I have plenty of measuring spoons as you can see. But I like these. 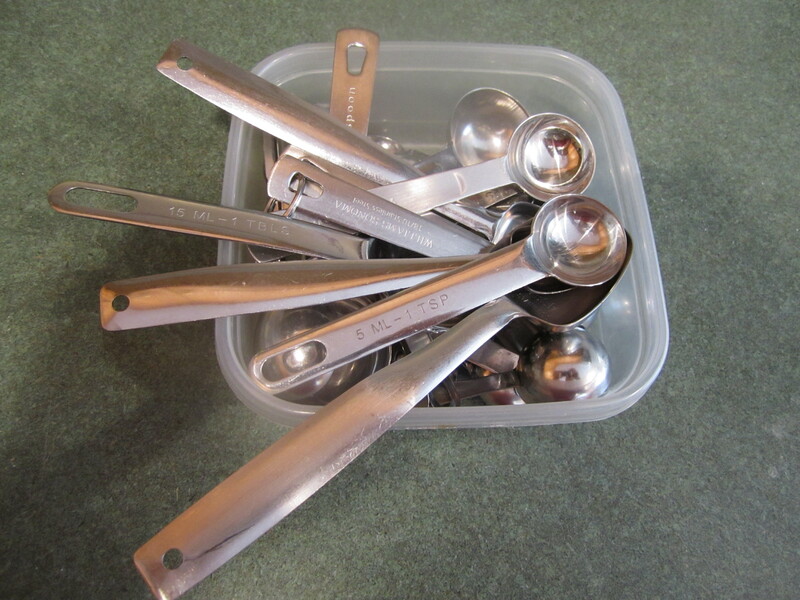 Norpro 18/10 Stainless Steel Measuring Spoons: a smidgen, a pinch, a dash! how cool is that! Pourfect 12-Piece Leveler Measuring Spoon Set: awesome color choices. There’s my 1/3 teaspoon! ??? Head Chefs Measuring Spoon ??? Ok, I have to stop now, you get the idea.